The Expert Witness Courtroom Testimony course walks you through what it's like to testify as an expert witness in a real case. During the class, you will spend time with practicing attorneys giving your deposition, preparing for your testimony, as well as spending the day in a courtroom where you will take the stand for direct examination and cross examination. 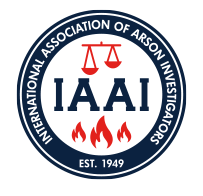 The course meets the testimony requirement for the IAAI-CFI (IAAI-Certified Fire Investigator) application. You will receive your pre-course work six weeks before the course date. You must be prepaid to receive the course materials.